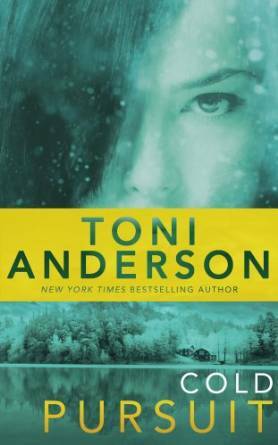 FBI Agent Mallory Rooney is hunting the monster who abducted her twin sister and begins to suspect there's a vigilante operating outside the law. Former CIA assassin Alex Parker works for a clandestine government organization hell-bent on taking out serial killers before they enter the justice system. Alex doesn't enjoy killing, but he's good at it. He's good at dodging the law, too - until a beautiful rookie agent has him wondering what it might be like to get caught. A single mom and her son escape with their lives after terrorists attack an American mall. When the boy is targeted for death, an FBI agent helps them disappear and ends up falling in love. But can he keep them safe when the players are more powerful than he ever have imagined and he doesn't know who to trust? Physicist Scarlett Stone is the daughter of the most notorious Russian agent in FBI history. With her father dying in prison, she's determined to prove he's innocent, but time is running out. 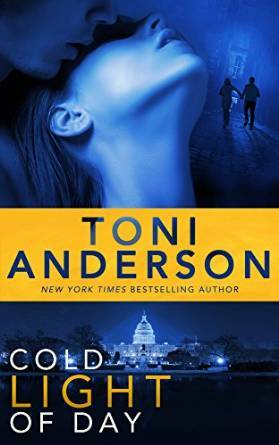 Using a false identity, she gains access to the Russian ambassador's Christmas party, searching for evidence of a set-up. Former Navy SEAL, now FBI Special Agent, Matt Lazlo is attracted to Scarlett, but when he discovers she lied to him about her identity, he hunts her down with the ruthless efficiency he usually reserves for serial killers. Scarlett's scheme fails, but as agents involved in her father's investigation start dying, Matt and his colleagues begin to wonder. Could they have a traitor in their midst? I absolutely love this series and I can't get enough. Each title is a must read and an auto buy for me when they are published. You can start the series for free by downloading A Cold Dark Place from Amazon for your Kindle Just be warned- you won't want to stop at book one. The audio version of these books are brilliant. Eric. G. Dove does a superb job of performing each of the characters and making their voices sound unique. There are a lot of male characters to differentiate between and he is able to change his tone of voice and accent with ease. He does a great job with the female voices as well. I've listened to books 1-4 now and they are among my favourite books to listen to. 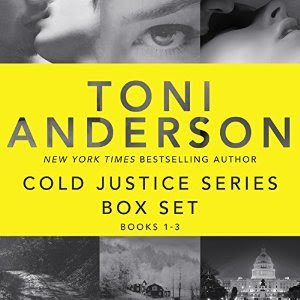 I purchased the Kindle copies of Toni Anderson's Cold Justice series but I received a copy of the audio books in exchange for an honest review.